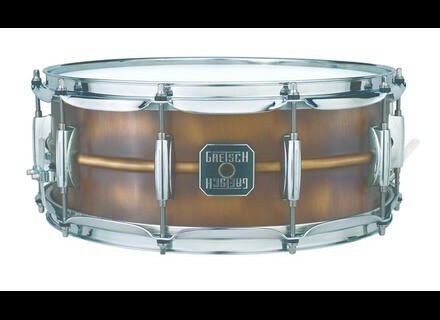 Brushed Brass, Snare Drum from Gretsch. 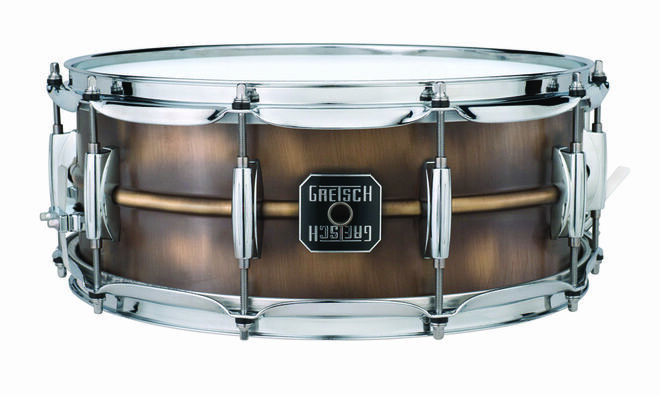 Gretsch's brushed brass snare drums are designed to combine the sound of a brass shell with the look and feel of a hand-finished shell. Hand brushing means that no two shells have exactly the same in appearance. The 1.0 mm thick beaded brass shell is designed to produce a full-bodied snare drum tone with a wide tuning range.